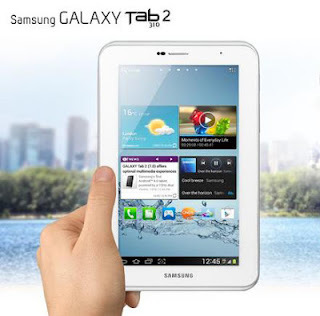 Samsung launched the Galaxy Tab 7.0's successor the Galaxy Tab 2 310 in the last month. The new Galaxy Tab 2 310 comes with a 7-inch TFT LCD display with a resolution of 1024 x 600. It is powered by a powerful 1 GHz dual-core processor. The Galaxy Tab 2 comes loaded with Google's latest Android OS - Ice Cream Sandwich (Android 4.0). 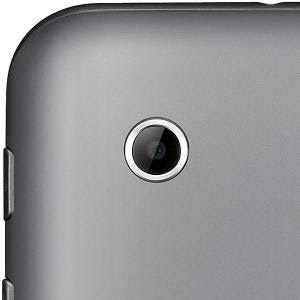 The Tab 2 has a 3 MP camera at the rear and a VGA camera at the front for video calls. Unfortunately the 3 MP camera at the rear is a fixed focus camera, unlike other auto focus camera lenses on higher end Galaxy Tab's. Also the LED flash useful for capturing images in low light is missing. The Galaxy Tab 2 comes with its own customizations over Google's Android OS called the TouchWiz. It also comes loaded with Samsung's Readers Hub and Game Hub. Readers Hub gives users access to more than 2 million e-books, 3,500 magazines in 25 languages and more than 2,000 newspapers in 51 different languages. ChatON a cross platform communication service is also pre-installed on the device. The device has 16 GB internal memory and support for micro SD card upto 32 GB. On connectivity front Galaxy Tab 2 comes with 3G HSPA+ support, Voice calling support, Wi-Fi, Bluetooth v3.0 with A2DP, A-GPS. There is a 4000 mAh battery which powers this device. The Galaxy Tab 2 310 is available in stores at 19,500 INR(approx $350).